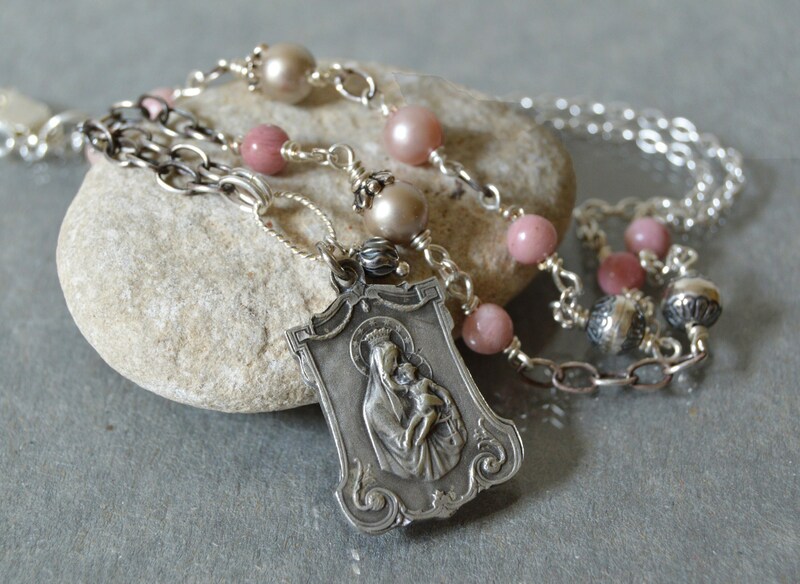 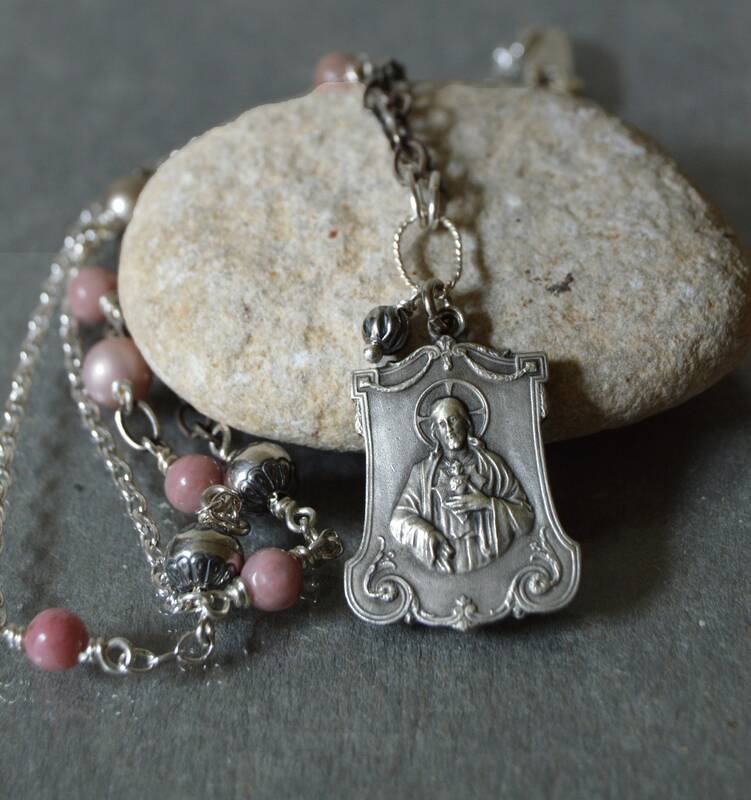 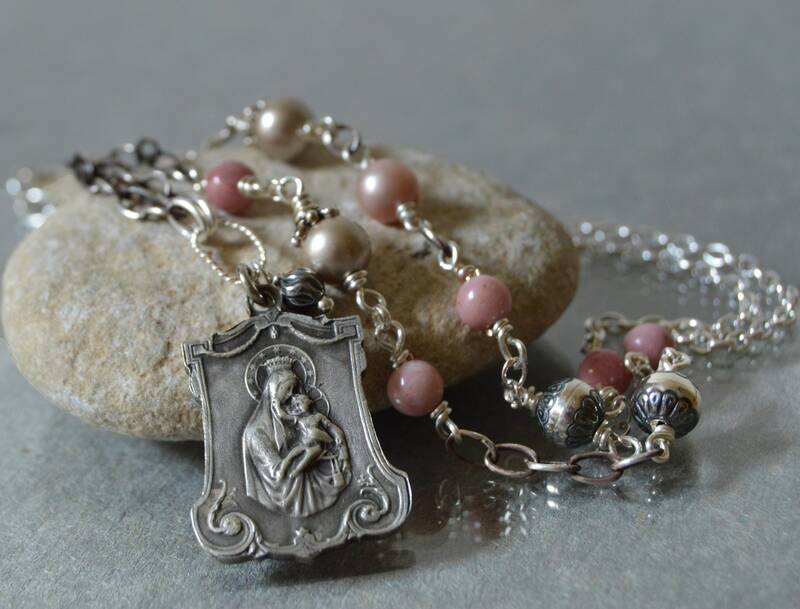 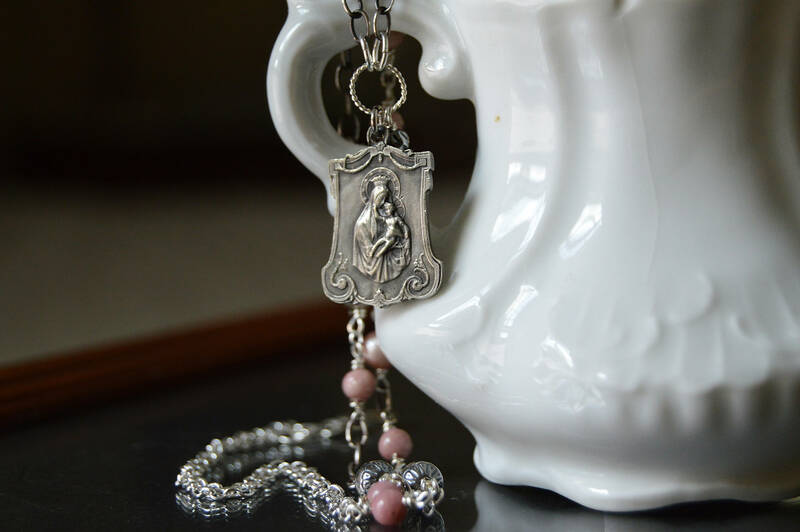 Rich, soothing tones create a statement of devotion featuring a vintage scapular medal with the images of the Sacred Heart and the Immaculate Heart of Mary. 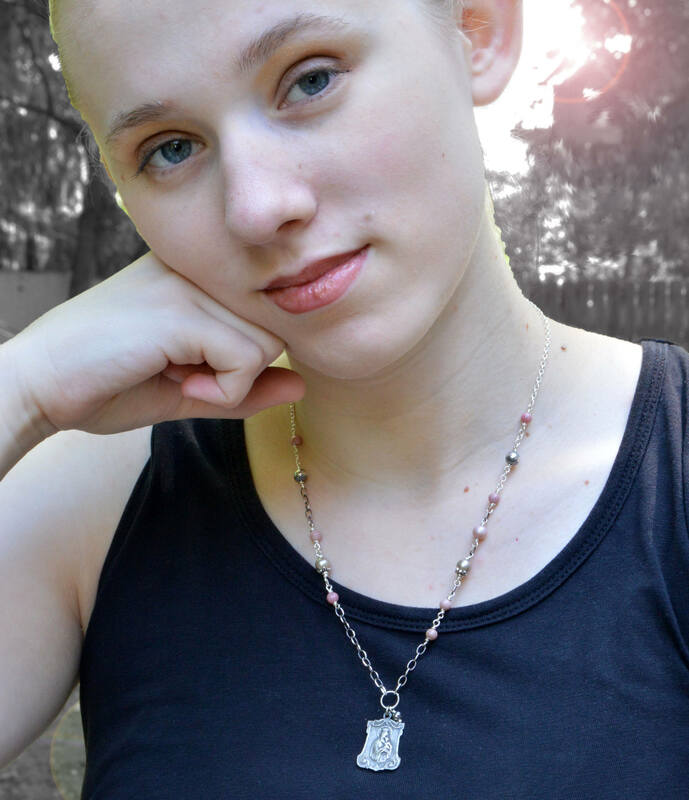 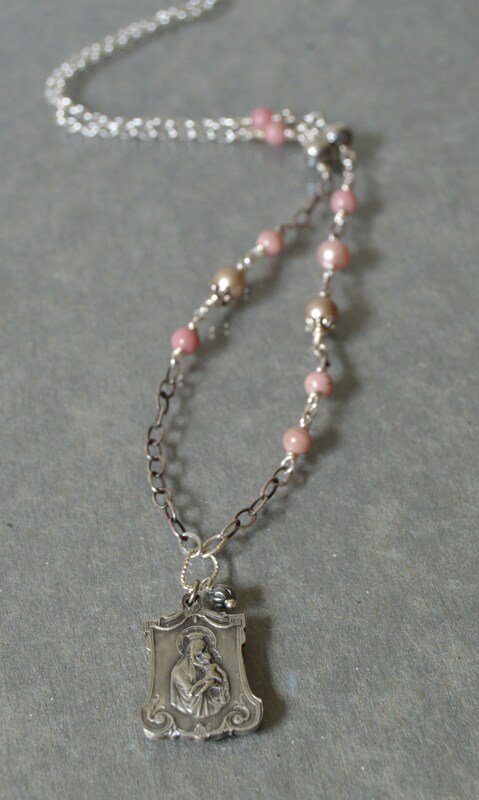 Along the silver filled chain antiqued sterling silver beads compliment the traditional design of the medal. 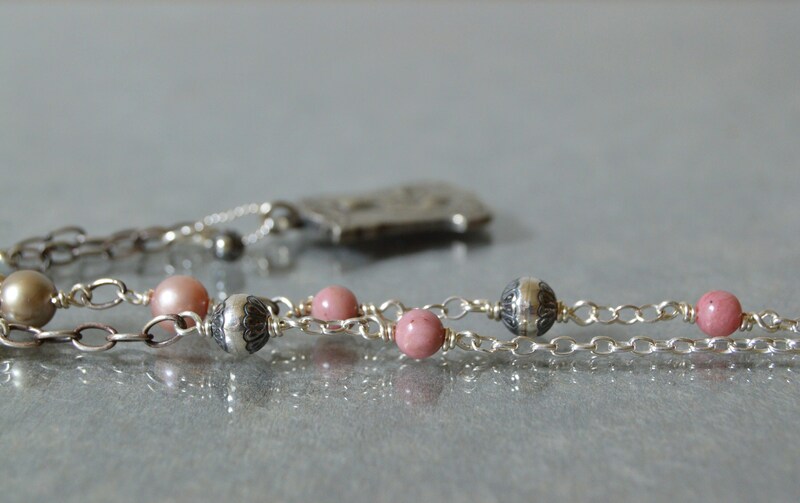 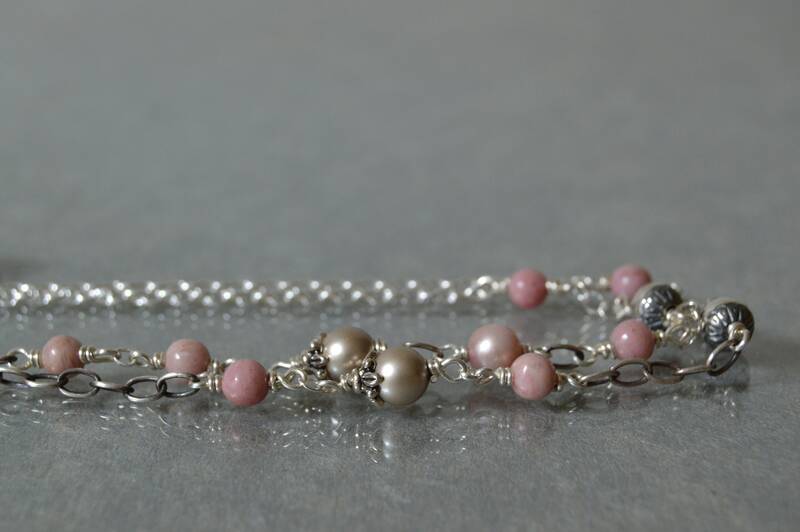 Soft tones of rose and dove grey grace the chain in a mix of freshwater pearl, Swarovski® crystal pearls and rhondites. 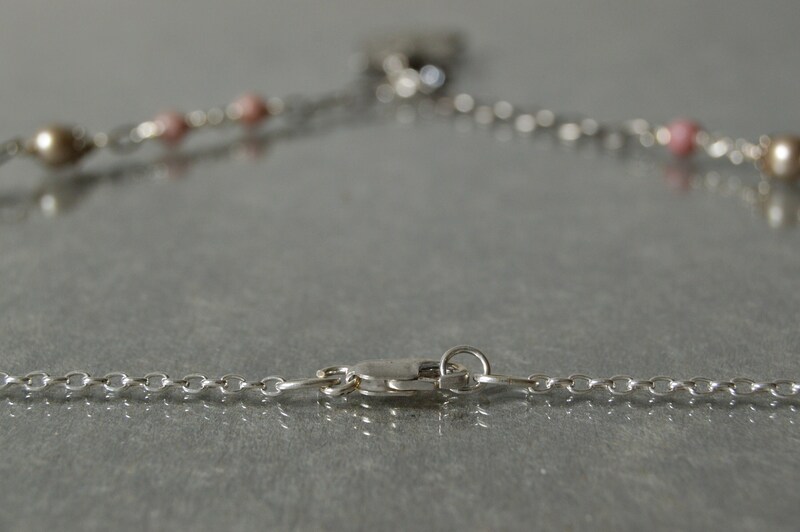 A sterling silver roped ring and sterling silver bead frames the vintage medal and a sterling silver clasp completes the elegant design.